Earlier this month in Shanghai the Chinese government launched an RMB 100 billion ($16 billion) investment fund targeted at stimulating cooperation and modernisation amongst regional economies in one of China’s most productive and strategic geographic blocs – the Yangtze River Delta. 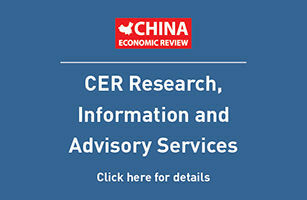 The Yangtze River Delta Collaborative Advantage Fund, with backing from a diverse range of government-linked institutions and private firms, marks an ambitious step in Beijing’s wider intention to create integrated blocs of specialised, highly-efficient economic zones throughout the country. Over the next three years, the fresh capital will go towards boosting new high-value-added industries in the region’s numerous industrial parks, redistributing operations across provincial borders, and supplementing the advanced infrastructure network that links major cities such as Hangzhou, Nanjing, and of course Shanghai. The region, although dominated by the central financial and trade hub of Shanghai, includes the satellite cities of neighbouring Jiangsu, Zhejiang, and Anhui provinces, which together constitute China’s largest discrete economic bloc. According to China’s National Bureau of Statistics, in 2017 the Yangtze River Delta contributed around one-fifth of the nation’s GDP, punching well above its weight in terms of the fraction of the country’s population it houses, and is consistently growing at a double-digit rate per annum. The gargantuan ports of Shanghai and Ningbo – the first and fourth largest in the world by value of trade processed – oversee one-third of China’s annual exports, acting as a gateway for inland regions to the wider global economy. The government’s principal goal is to make the cluster a world-class trade and manufacturing zone by 2030, but to do this it will have to tackle two main obstacles: the wealth disparity among the provinces, and the so-called ‘fortress economy’ mentality of local administrations. The first issue is one of resource allocation and historical particularities among the provinces. Shanghai, given its positioning, has benefitted greatly as the world’s point-of-entry for centuries and is comfortably China’s richest metropolis with a GDP of $475 billion in 2017. Zhejiang and Jiangsu provinces have developed into significant national manufacturing centres, excelling in the production of electronic, auto and textile products. Zhejiang’s regional capital, Hangzhou, is also emerging as a leader in e-commerce, promoted in large part by being the HQ of tech giant Alibaba. To the West, the coast-less Anhui province offers a large supply of natural resources, including coal and copper, and has been the target of heavy investment in technologically advanced industries within recent years. However, with a GDP of $408 billion in 2017 for a population of 62 million, Anhui remains around twice as poor as its two neighbours. The second problem essentially aims to switch local government policies from those of ‘competition’ with nearby provinces, to those that seek ‘cooperation’. As has been seen during other periods of China’s history, regional leaders pursuing rapid growth results for their jurisdiction have inhibited the long-term potential of the wider bloc, as they seek dominance in, say, the petrochemicals or electronics manufacturing industries. The result has been severe overcapacity in key industries and an intense environmental fallout in certain areas along the river basin. The fund, with its immediate plans to spark around a dozen high-tech and infrastructure projects in the delta, looks to hit both issues with one strike. By redistributing production capacities among the component provinces and allowing each to pursue its respective comparative advantage in various industries, the bloc as a whole can reap efficiencies whilst poorer areas are helped up the value chain as operations are transferred from Shanghai inland. Similarly, by heavily encouraging local governments and businesses to consolidate reciprocal economic relationships, administrations will be removed of the incentive to pursue myopic, self-interested targets at the expense of their neighbours. The Yangtze Delta integration plan is not the first of its kind, either. An initiative of similar scale and intentions was launched in the country’s north about ten years ago, hoping to unite Beijing with the surrounding provinces of Tianjin and Hebei. More commonly known as Jing-Jin-Ji, or Capital Economic Circle, this project shares many parallels with those plans for the YRD. Instead of Shanghai, Beijing functions as the overproducing, wealthy core that can pass on some its excesses to the other areas that have local economies further down the value chain. The funds dedicated to Jing-Jin-Ji have also gone towards building intercity transport networks, fostering collaboration projects, and founding high-tech ‘new areas’ such as those in Xiongan or Zhongguancun, where new industries are trialled in cities where investment is traditionally bypassed in favour of Beijing. The efficacy of Jing-Jin-Ji is yet to provide conclusive results, however. Despite a proliferation of high-speed rail networks and the transfer of billions of dollars of industrial technology from Beijing, one key metric – wealth disparity – remains potent. Hebei, mirroring Anhui in the south, severely lags behind the other two members of the cluster. In 2016 the province’s GDP stood at just 36% of Beijing’s, despite a population almost four times as large, and 37% of Tianjin’s. Plans to integrate the Yangtze River Delta differ in many respects from Jing-Jin-Ji, but most notably in terms of scope. In 2016, the Chinese government proposed the ‘Golden Waterway’ project for the wider Yangtze Economic Belt, extending the plans at the delta inland as far West as Chongqing. If this is fulfilled, nine provinces would be encapsulated within the scheme, including 40% of China’s population. The Yangtze, along which lie three of China’s ten most populous cities, would give China’s insulated and poorer inner regions a conduit to the thriving ports on the Pacific coast. Relatively prosperous provinces will be able to transfer lower-value-added manufacturing inland, pulling up the entire bloc as one. The government’s desire to stamp out inefficiencies in these economic zones coincides well with its general policy of pushing China into a new position in the global supply chain, as is stipulated by the Made in China 2025 initiative, as well its goals of greater regional connectivity as per Belt and Road. If the Yangtze River Delta and Jing-Jin-Ji clusters can prove successful, they will serve as a strong stamp of approval for some of Beijing’s trademark schemes and may lay the groundwork for similar projects across the country.